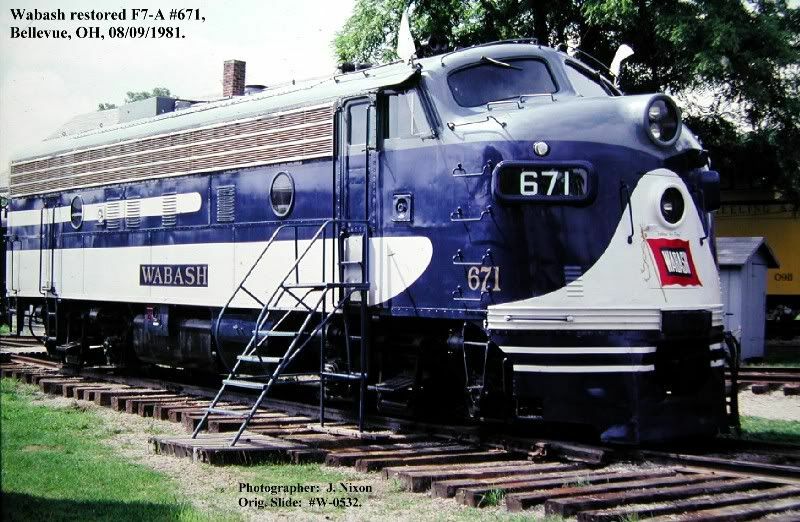 The Shark Nose presented in a scheme similar to the Wabash Railroad's early diesel paint was dubbed The Midnight Special for TYCO's 50th Anniversary in 1976. The same set, No.7309 in 1976 featuring 3-cars and caboose, shrinks to a 2-car set in 1977 carrying stock #7304. The unique Midnight Special offerings included the Shark Nose Diesel and a Streamline Off-Center Cupola Caboose. As mentioned, the Midnight Special's decoration appears inspired by the Wabash Railroad's tri-color scheme. A TYCO Wabash Caboose has appeared in recent years that is thought to be a prototype for a model that was never catalog or produced for regular sale. You may read about the Wabash Railroad and its history at Wikipedia.org. Information link sources include: Wikipedia.org, John Nixon's Wabash Railroad site, and others.